A poisoned drink, apparitions, a throne-usurping act, banishment, a drowning incident, madness, planned murders, and unexpected deaths are drama, action, thriller, and horror rolled into one. Yet you will not see all these flashed on a television screen nor shown in a movie theater. All these are brought to you by the same person who gave you Romeo and Juliet the distinguished English poet and playwright William Shakespeare. 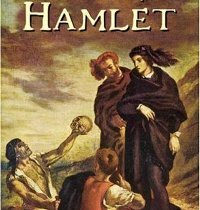 Titled Hamlet, this piece of literature was written in Middle English and revolves around revenge. It is full of twists, to say the least. The play begins with the ghost of Hamlet showing itself to a number of people and ultimately asking Hamlet, to revenge for him as he was killed by his brother Claudius. Hamlet was found to be unstable while trying to deal with the incident until he finally decided on what he should do. The play is a sophisticated testimony of human contemplation in the character of Hamlet and greed in Claudius. It shows the depth of Shakespeare’s knowledge of the human mind and behavior. And beyond all the action is Shakespeare’s powerful attempt to show his readers what humans are capable of doing for the reasons of wanting power, avenging, and becoming vulnerable due to emotions. Shakespeare is Shakespeare after all.